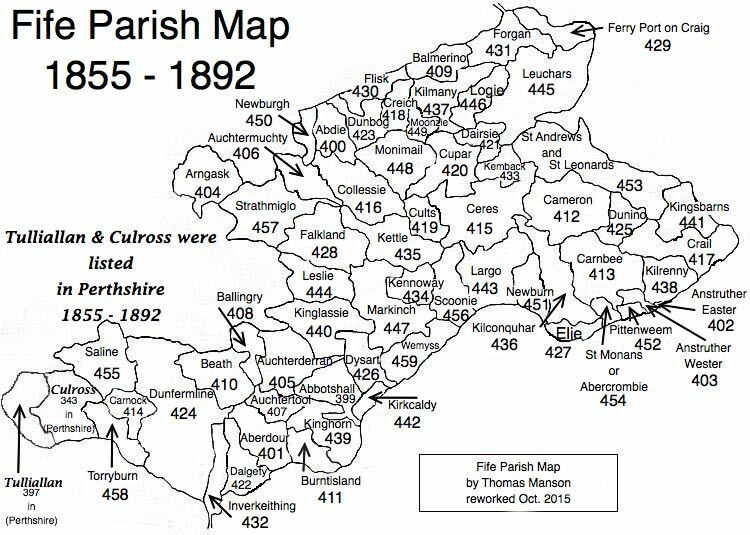 Parish of Anstruther-Wester – The Fife Post………..for genealogy and historical information. ANSTRUTHER WESTER, a royal burgh, and parish, in the district of St. Andrew’s, county of Fife; adjoining Anstruther Easter. This place, of which the name is supposed to be, in the Celtic language, descriptive of the low marshy ground on which the church was built, is situated on the Frith of Forth, about six miles to the westward of Fifeness. The church is a very ancient structure situated in the burgh, near the sea-shore. The origin of the name is uncertain. It is not known whether the family of Anstruther gave their name to it or took theirs from it. The Celtic word struther means ‘a low marshy place,’ which the area anciently may have been, but no longer is. The parish contains about 600 acres, the greater part of which is arable. The parish includes the Isle of May, on which there is a lighthouse. Also on the island are the ruins of a priory, formerly belonging to the Abbey of Pittenweem, and of a chapel dedicated to St. Adrian. The town is a royal burgh. Like most towns on the east coast of Fife, the burgh, since the Union, has fallen greatly into decay and the population has decreased. The people in general were zealous Covenanters and many of them fell in the battle of Kilsyth (1645). In about 1670 the sea inundated and destroyed or choked up the harbour, washed away the bulwarks, and rendered many of the houses unsafe to dwell in. Another similar inundation happened about the end of the seventeenth century when nearly a third of the town seems to have been swept away. By these means the town has been greatly reduced. The population after that was about 370 and in 1831 was 430. The latter includes 105 families with about four children each. The average number of births each year is 5 or 6 and the number of marriages 4. The wages of a male farm servant is eleven pounds per year and of a female six pounds. The Fife breed of cattle is raised and great quantities of salted cod are exported to the big cities. There is no harbour. The church has existed from before the Reformation. The number of Dissenters is just 15, in addition to 4 Episcopalians. There is only a parochial school in the parish. The fuel commonly used in the parish is coal. The above is an extract of the account written in November 1838.